In this episode, Mary Adams shares the mega-trends challenging traditional financial management and introduces the concept of integrated thinking and reporting. Episode 1.1 of my new Building Smarter Companies video blog! 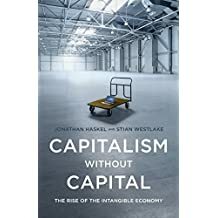 I have been challenging myself to find ways to bring the richness of the intellectual/intangible capital field to the integrated thinking and reporting movement. New Year’s resolutions are just like a lot of corporate goals. They start out sounding great but don’t end up happening as planned. That’s because the primary focus is on the KPI’s, not on building the system to deliver on the KPI’s.